Facebook is a very popular website and its popularity seems to increase every day. 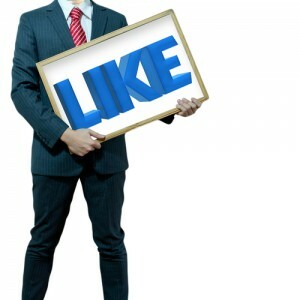 For those wanting to develop an engaging Facebook business page, there are tips that can help. With the option to develop various tabs, you are given the ability to create a welcome tab that will instantly appear to your new visitors. On this page you can welcome new visitors and you can do this effectively by setting the page as the “Default Landing Tab.” When you do this, your visitors will come to this page first. The next step would be to put an image on your page. You could put your business logo or create a custom image that gives more information or promotes an offer. Then, upload pictures into your photo strip. It is important to also develop a thumbnail image. This will appear next to your wall posts. The thumbnail image is usually a version of your business logo or similar. The sizing of this image is 160px by 160px. The largest you should go on this image is 180px by 180px for best quality in thumbnail form. You can make minor changes to the thumbnail by dragging the larger image to adjust to fit a smaller thumbnail size. Another way to make your Facebook business page more interesting is to pose some questions to those who come to your page. Posing questions will encourage others to discuss ideas and concepts with you. When a person becomes a fan on your page they will find questions and answers about topics which will help them and where they can come to your page and get information that is helpful and valuable. Be sure to keep your questions and answers fresh; in other words, update your words often and watch how your fans react to the questions. In addition, be sure to check out the many Facebook applications that are available to you and then choose those that will give your Facebook page a more interesting and inviting look and will also give your page a hint of Facebook marketing. Keep in mind, it is the content of your page that will keep people coming to your page. Keep your page interesting and when possible include blog posts, ebooks and webinars from others who have a similar business background to yours. Facebook advertising is another advantage of having a Facebook page. Everything on your page—your photos, your words, symbols and other designs can be considered Facebook advertising. Next, use your “About” information page as a page where you can concisely and interestingly describe who you are and why you are valuable and worth looking into. This is also a great area to link over to your business website. Your fans want to know who you are and want to be able to find out easily, so give them a clickable link over to your business website. Facebook has become an astounding source to the marketing world. When done right, it will benefit you. Have patience, keep engaging and you’ll be on your way to using Facebook successfully.